Dillon was originally located in what is now Lake Dillon. Denver needed some water storage and so the reservoir was built and completed in 1963. The town was relocated to the hillside along the shores of the lake. 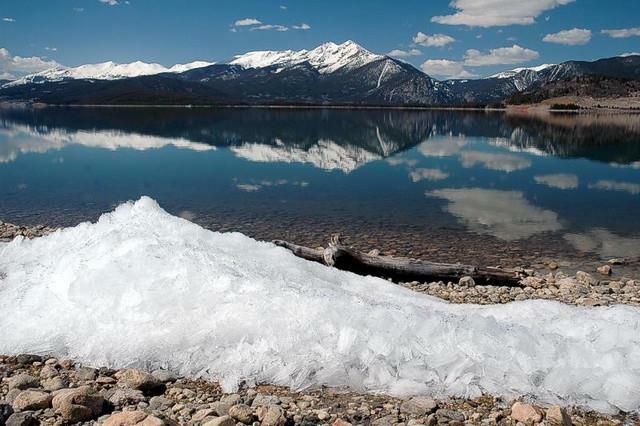 A central location in Summit County, Dillon offers something for everyone. Bike enthusiast can ride the 20 mile rec path around Lake Dillon. A National sailing regatta takes place every summer, and there is a full service marina. The Backstage Theater and the Dillon outdoor arena and it's summertime free music concerts, is fun for the whole family. Dillon is only minutes away from 4 world class ski areas; Breckenridge, Keystone, Arapahoe Basin, and Copper Mountain.